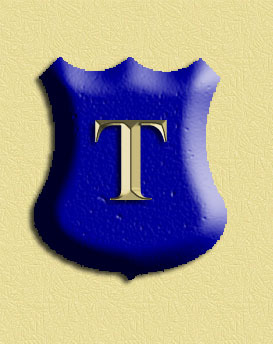 Actions By "T" has earned a reputation of superior workmanship and reliability throughout the United states. We have never taken any short cuts in order to give you the finest handgun possible. Our techniques are far superior and we constantly update our methods, tools and parts to give you the best hand gun in this world. The advancements we have made can not be seen. they are internal, but they can be felt when you work our actions. We now sell 1911 parts that are far superior in many ways. We modify our parts to make your weapon the most advanced handgun action on this planet. On some of our parts we now offer a permanently bonded Lubricant. which protects from -325 Deg. F. to 750 Deg. F. it will not gall, burn off, or pick up dirt, and its anti seize properties are excellent. It is also not affected by cleaning agents. All our parts are made of steel. Your life is our priority, we can not afford a mistake. Police nationwide protect life and property with our handguns. Our Complete Action Job prepares a handgun for street carry. The handgun is completely disassembled and each part including the frame is deburred. smoothed out, polished, and mated properly in order to achieve a refined glass smooth action. All trigger engagements are cut with a jig, and the finest Ruby, Ceramic and Arkansas stones are used. We polish the breech face of all semi auto pistols to a mirror finish. We use the finest diamond abrasives on super hard steel. We jewel interior parts & frames when necessary to better hold lubrication. We take no short cuts, our complete action job is the ultimate in refinement. We do not offer different levels of refinement at different prices. Over 50% of our work is for police. All Law Enforcement guns get top priority. Our guns are on duty with the thin blue line everyday and night nationwide and reliability is paramount. We do not do major refinish work and we do not do any mill work. Our action work, our logo and our reputation will increase the value of your handgun.